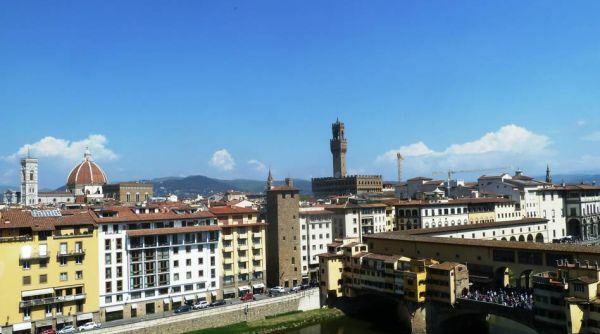 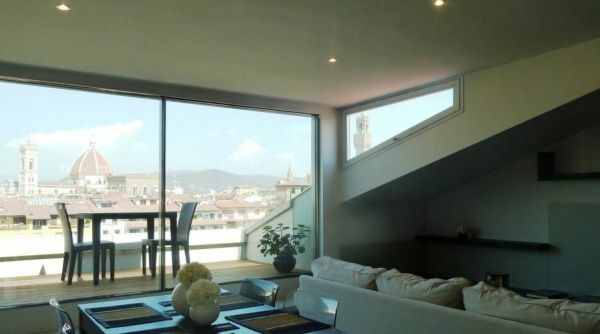 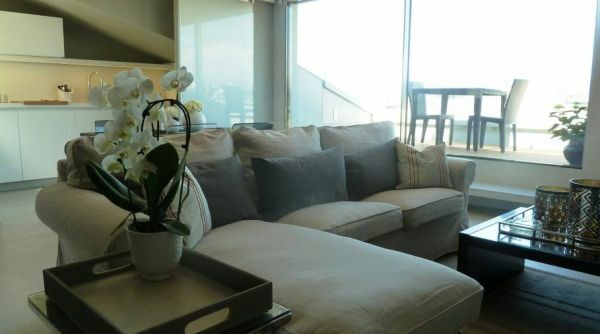 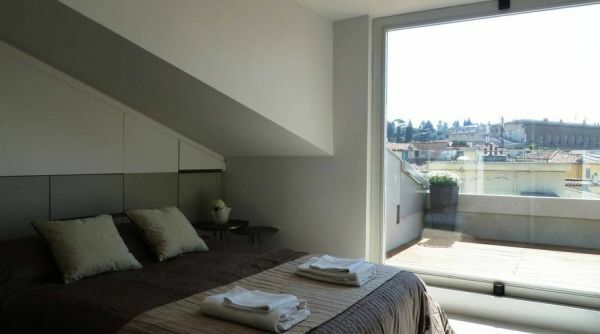 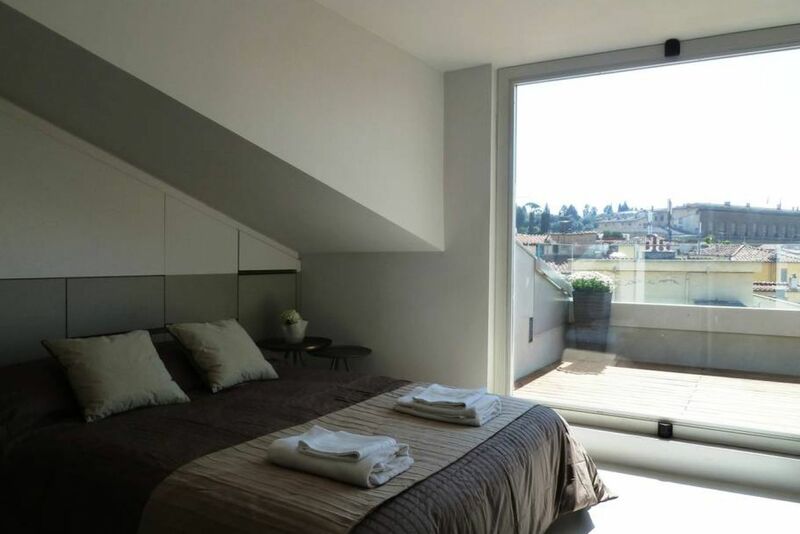 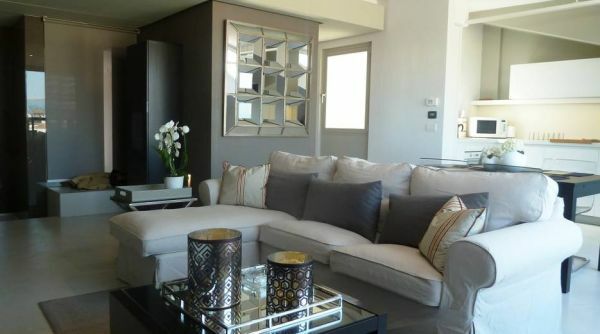 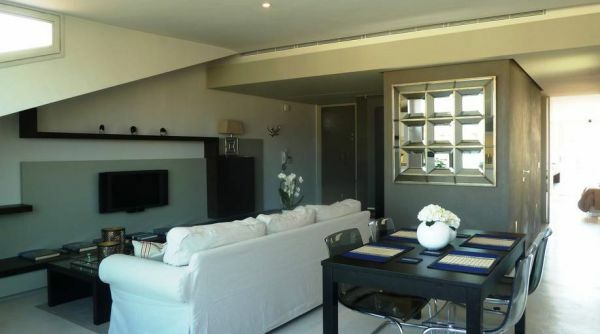 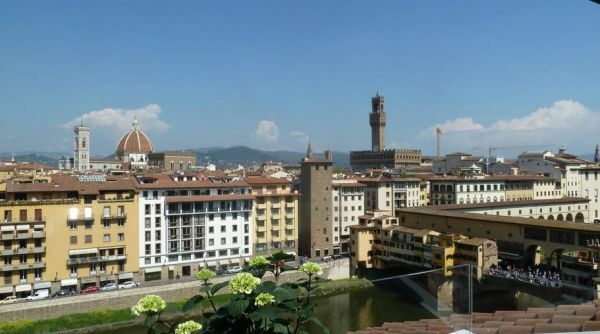 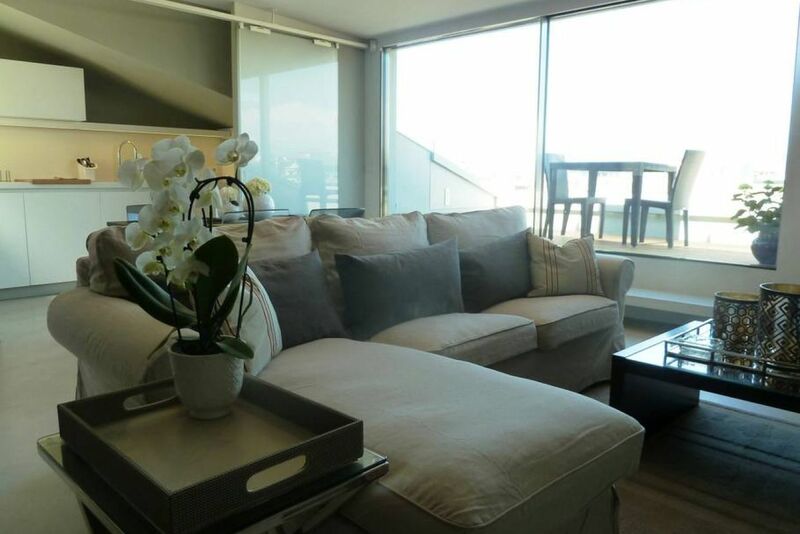 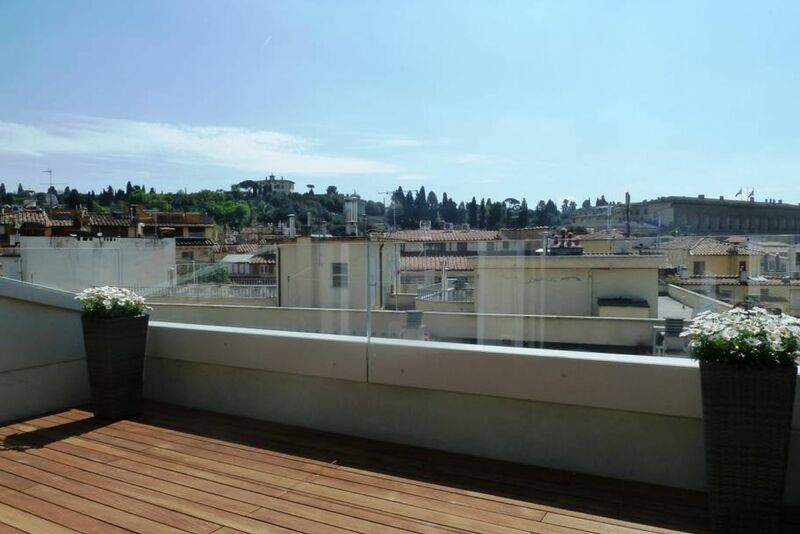 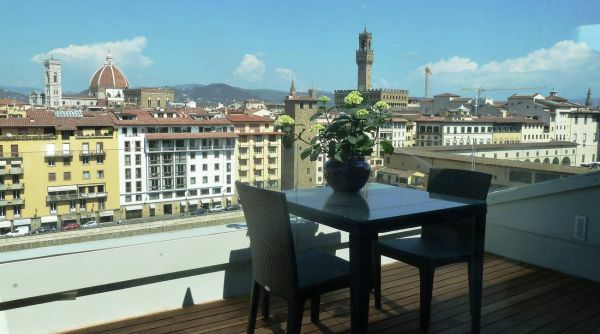 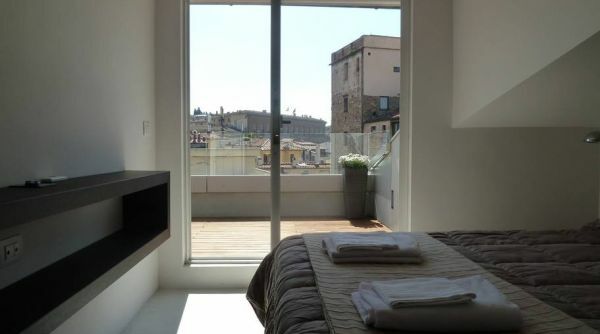 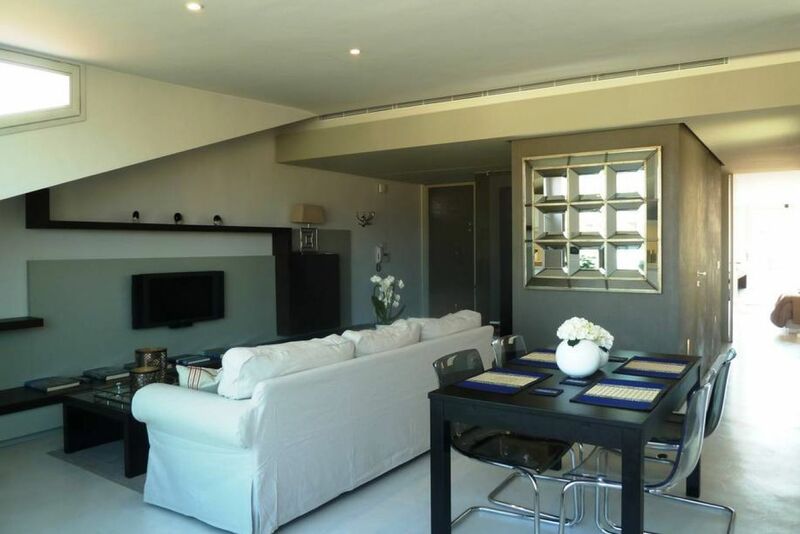 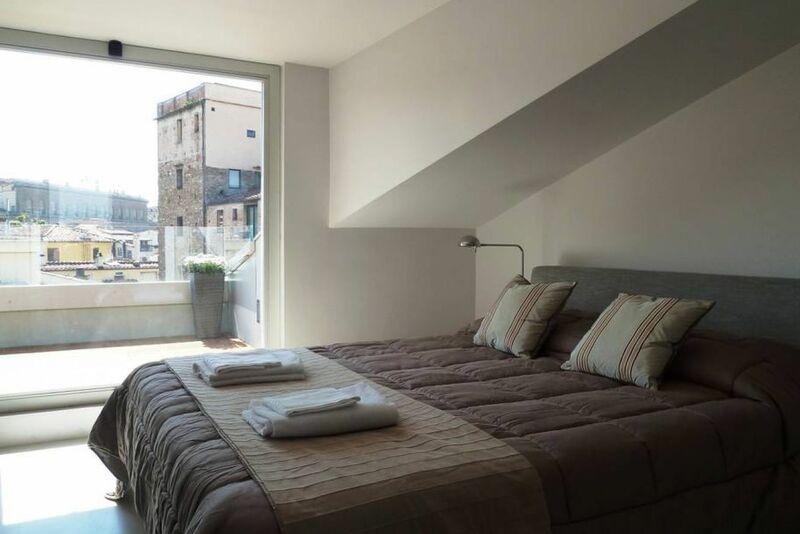 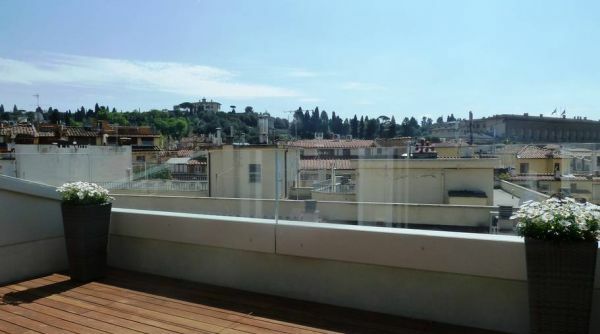 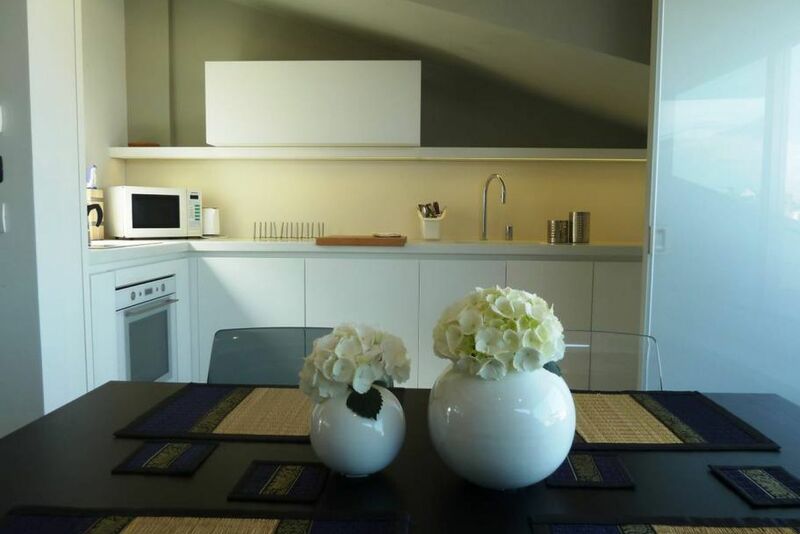 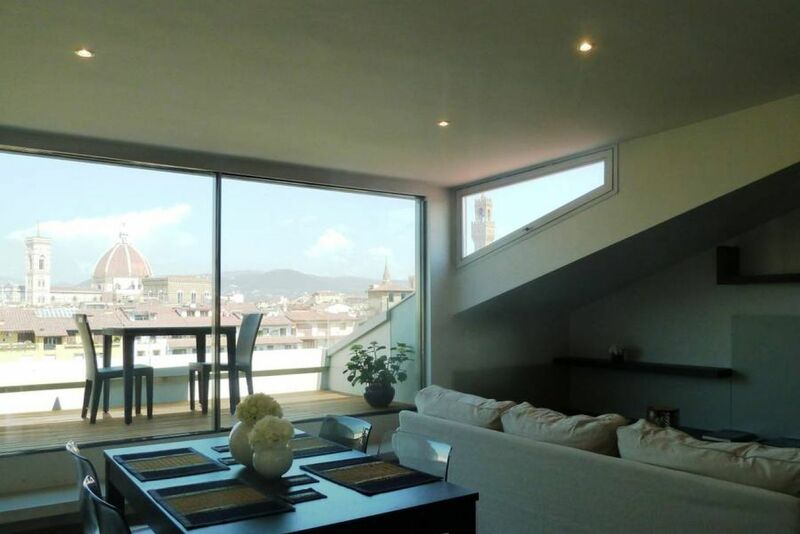 This modern and fantastic apartment is located on a 7th floor with elevator just a few steps from Ponte Vecchio. 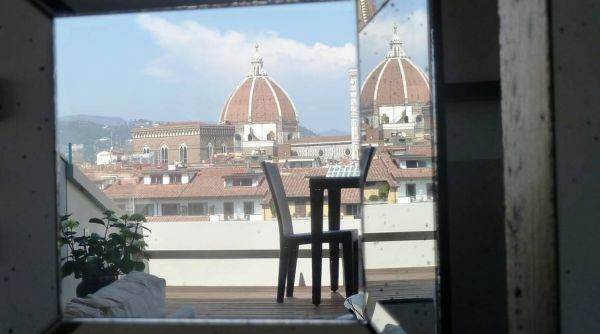 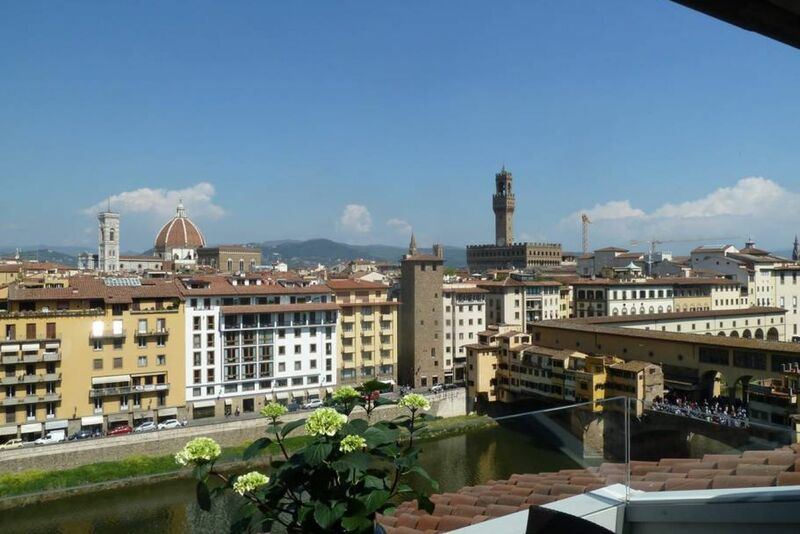 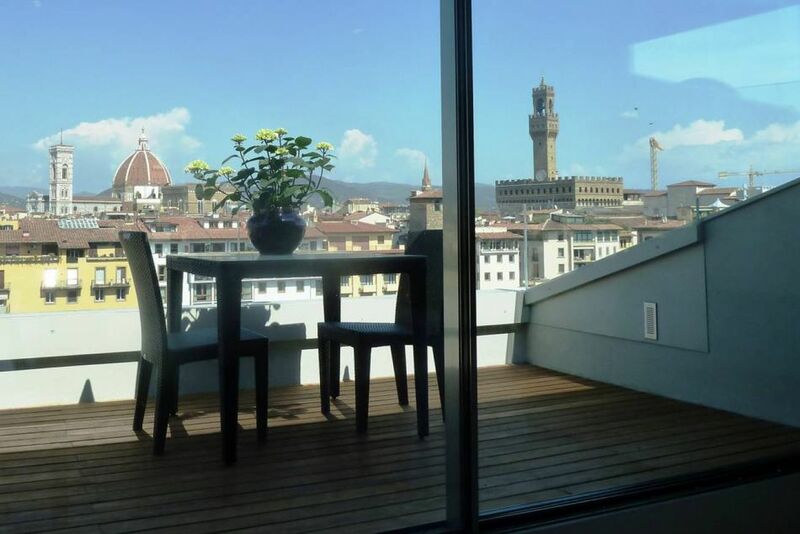 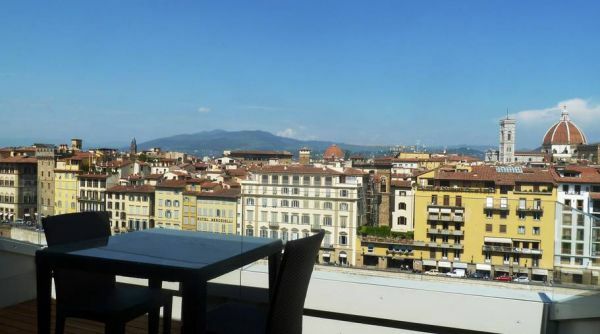 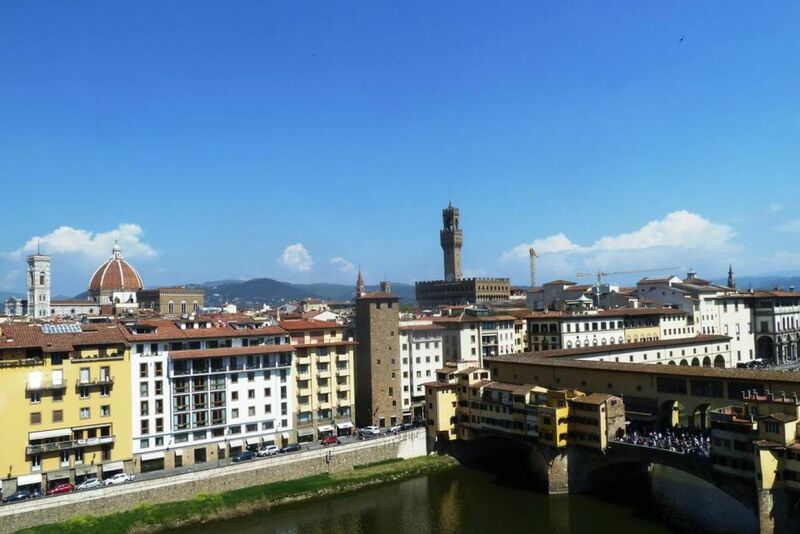 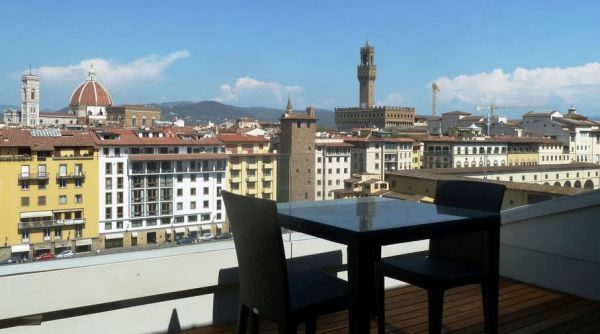 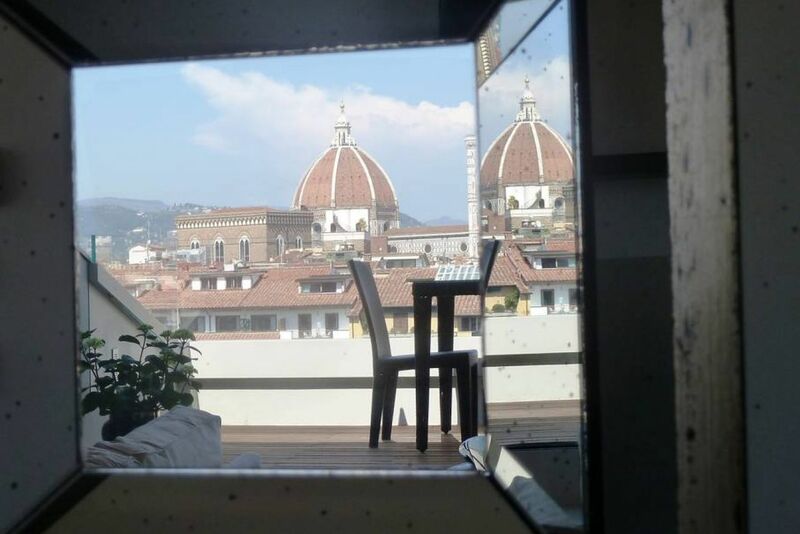 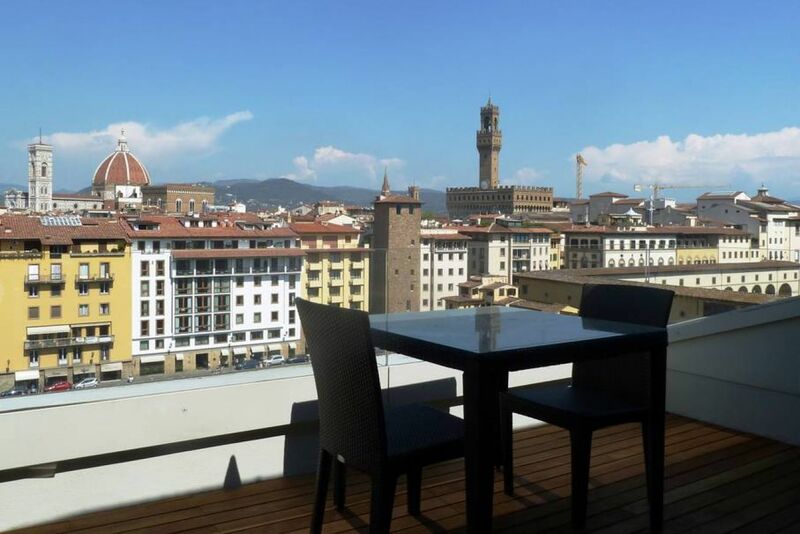 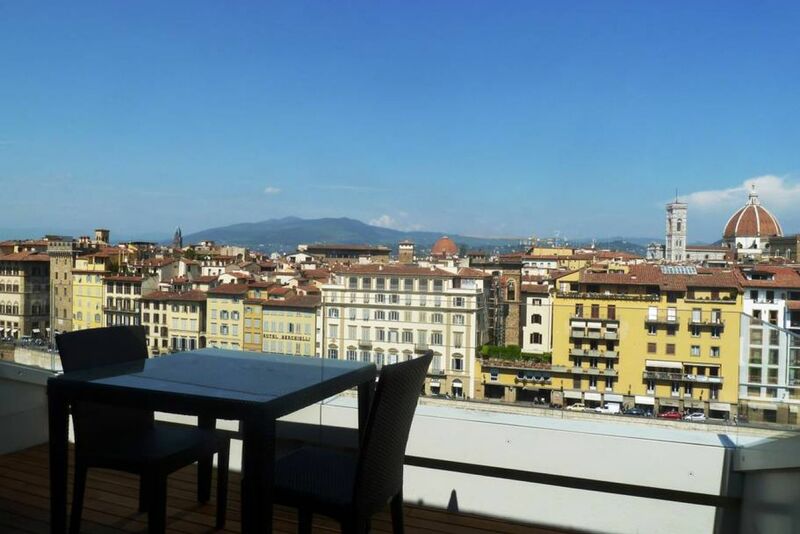 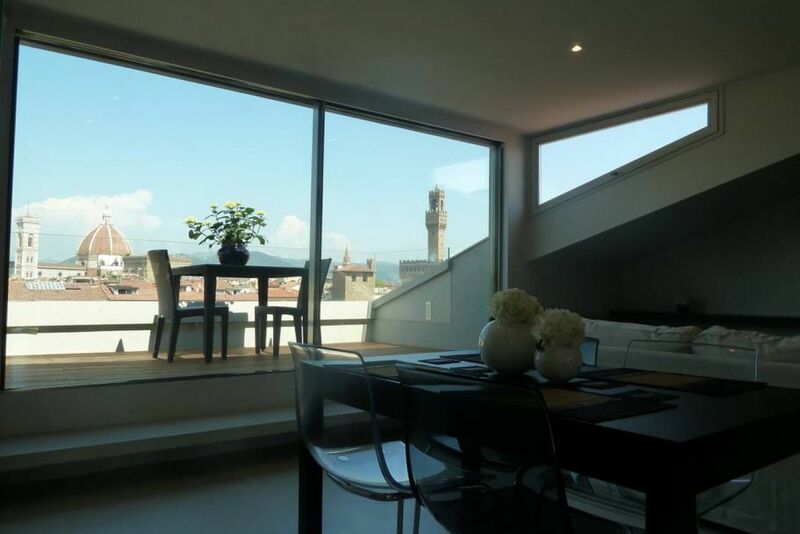 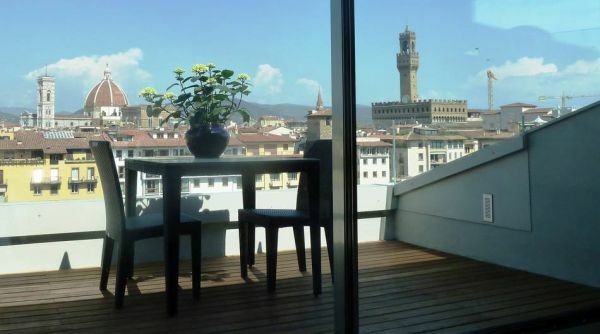 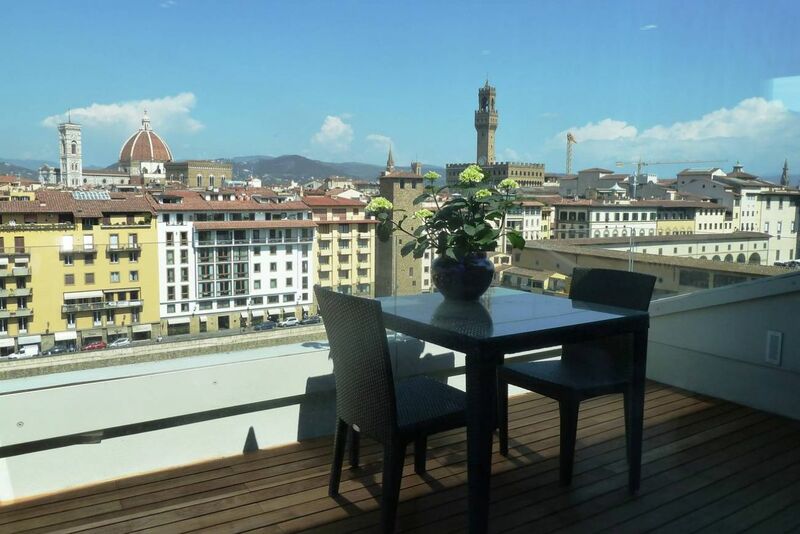 As soon as you come out of the elevator you’ll find the steps leading to the apartment door, once inside the apartment the first thing you’ll see is an amazing view of the Florentine skyline coming through the custom made double glassed doors that lead to one of the terrace. 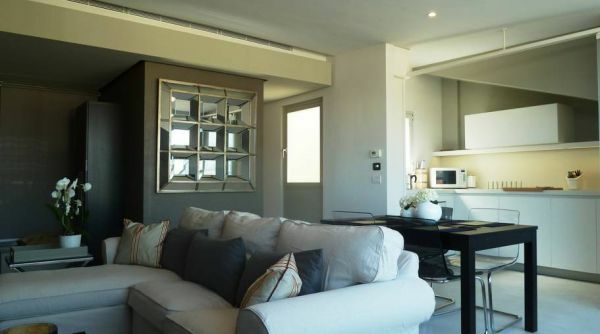 The living area, filled with natural light, consists of a comfortable and large sofa and a dining table all in very tasteful and modern décor. 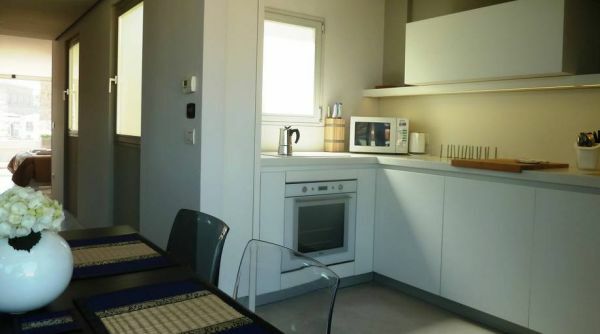 Behind the living area is the fully equipped Kitchen, with modern appliances, which can be in full view or otherwise closed behind white glass doors. 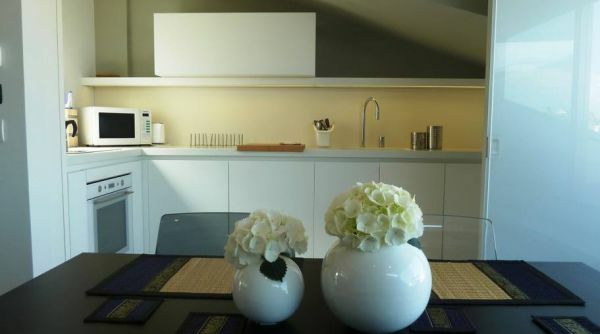 From the kitchen, a corridor leads to the bathroom fitted with modern fixtures and lighted by a ceiling window. 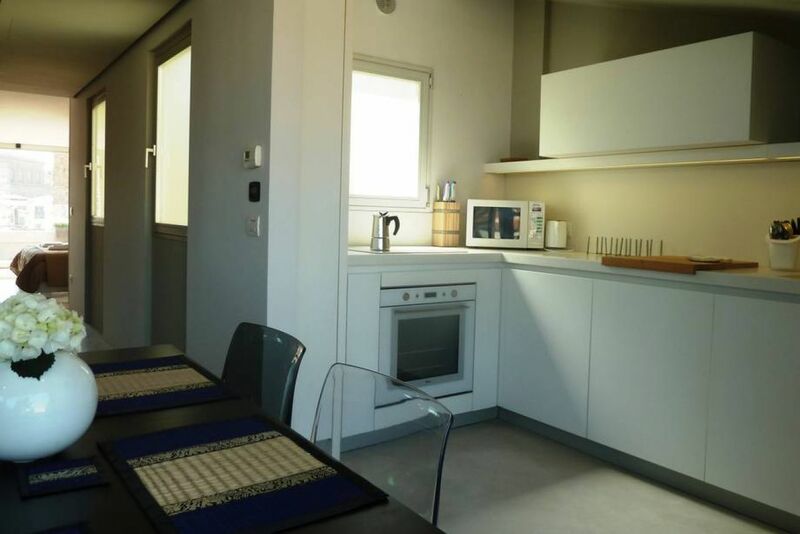 Walking along you will find 2 bedrooms on each side. 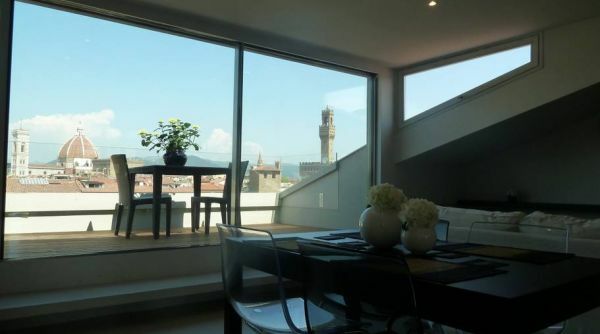 Both of them leading to the back terrace from where you can enjoy an amazing view. 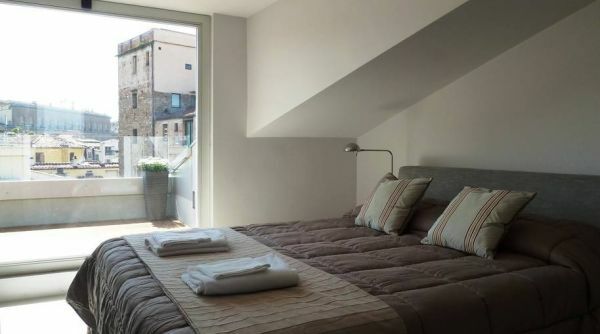 The bedrooms have plenty of storage room and both are fitted with double beds. 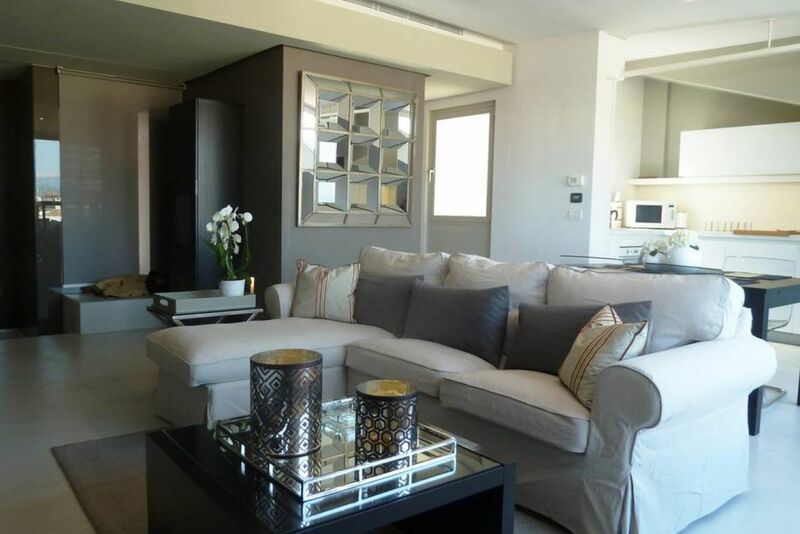 This refined apartment has been redone with great taste and care using high quality materials and paying much attention to every detail. 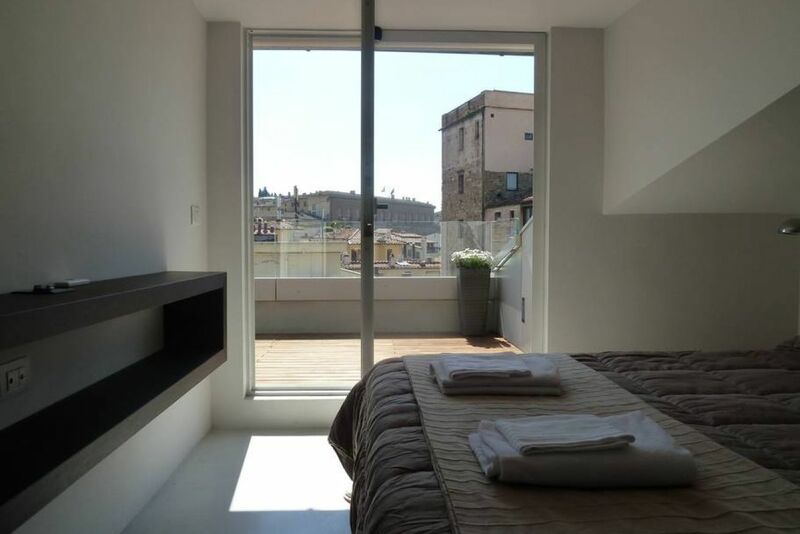 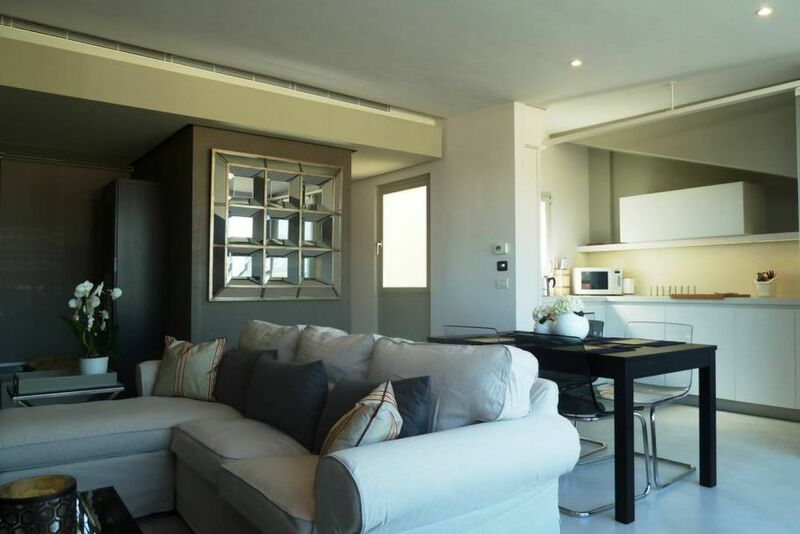 The apartment has air conditioning throughout and floor heating.